Since Orion’s mysterious disappearance six months earlier, Meg has longed to go out into the London streets to search for him. Her father, numbed with grief, forbids her from doing anything to risk her safety. Convinced that Orion is still alive, Meg decides one night to explore, not the streets, but the rooftops of London. While hopping from one house to another, she discovers a strange greenish glow coming from the skylight of the abandoned Satis House. To her surprise, she bumps into another rooftop jumper who is also curious about the light. It is none other than renowned author Charles Dickens. Together, the amateur sleuths find the source of the green light, and discover that it is only the tip of the iceberg of a great conspiracy. Getting to the bottom of it will put Meg, her family, and Mr. Dickens’ lives at risk, but it just might provide the clue as to the fate of Orion. 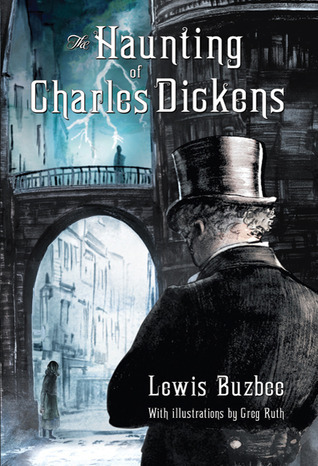 The Haunting of Charles Dickens, by Lewis Buzbee, is an exciting romp through the back streets of London that can be compared only with Dickens’ own novels.